'Tears of An Afghan Warlord' is a true story by Pascale Bourgaux and co-written by Vincent Zabus with art by Thomas Campi. It details a trip to Afghanistan in the early 2010s. Pascale Borgaux is a Belgian journalist who has been travelling to Afghanistan for years. She has been there when things are more prosperous, but this time, there is some poverty and belt tightening. Her host is a resistance fighter named Mamour Hasan who is feeling the pressure from those around him to let the Taliban regain control. It seems that much of the aid money hasn't made it to his province. Pascale and those helping her document their trip find themselves in a bit of danger and have to leave the country. The art is quite good and fairly colorful. The story is compelling and shows what can happen after your country has a war and some of the combatants leave. It's an ongoing story, so there is no resolution here, but I found it very interesting. 'Superman Vol. 5: Hopes and Fears'by Peter J. Tomasi and many others consists of three shorter stories. They all feel a bit disconnected from each other. In the first story, the Kents rent an RV and take a long overdue vacation, which turns into a civics lesson for Jon. The story has moments, but overall has the feel of an educational comic and is just a bit too wordy. The bits with the family work fine, but the exposition just comes across as preachy. The second story deals with Parallax and Sinestro and the yellow lantern power of fear as Superman tries to rescue some children as is forced to face his own fears. The final story has Lois Lane interviewing Deathstroke. Deathstroke then gets a contract to kill Lois, but who is behind this contract? There are different creators and artists, so the art and stories vary in consistency. I liked the latter two stories, but the first one just kind of left me wishing they'd taken a different approach to telling it. 'Infernal Parade' by Clive Barker is a title I was initially excited to read, as I've been an occasional fan of his work. What we get here is a series of short stories that were originally written for a line of Todd McFarlane action figures. The book is a collection of 6 linked stories about the formation of a gruesome parade of strange people with weirdly obvious names. Tom Requiem is a murderer who has been hanged and buried, and he is rescued from his coffin. Mary Slaughter kills babies and has a collection of dangerous swords. There is the unfortunate golem who finds himself without a master and Bethany Bled who is made to be tortured for the amusement of the crowd. These are all stories of terrible people or victims of terrible people who find themselves grotesquely transformed, but we never learn the overarching reason for this. These are not very nice people and when they get their comeuppance, I just found myself not caring at all. If you are looking for the Barker of 'Books of Blood' or 'Hellraiser' fame, I'm afraid you'll have to look elsewhere. 'Captain Canuck, Vol 02: The Gauntlet' by Kalman Andrasofszky is a much better volume than the first one I read. I like seeing this title trend toward better. Mr. Gold is still at large, and Captain Canuck and his team are going a bit rogue searching for him and missing Marla Ritchie. Meanwhile, a new member joins the team, but he may not be hiding something. Add to that a team up between Captain Canuck and Blue Fox and it all seems to be a story that seems like it's moving towards chaos. I felt like this volume's story was much more cohesive and didn't suffer from the confusing flashbacks of the first issues. The art is still just ok. Nothing spectacular and it isn't really something I like, but the storytelling is quite a bit better. 'The White Sultana' by Pierre Christin with art by Annie Goetzinger is a beautifully illustrated graphic novel about how one decision can change our lives. The book goes back and forth between two women. One is Emma Piggott a woman who has just died in London after a life of being a schoolteacher at St. John's. Her story is told in black and white. The other is the story of Lady Sheringham, who answers and advertisement to be a governess and finds her life changed forever with wealth and adventure. She sometimes dreams of Emma, and she finds it troubling. The art is some of the best I've seen lately in a graphic novel. There is depth and detail that show that great care was taken in the art of this book. On the art alone, I would give it 5 stars. But the story feels like a forced morality tale where it seems obvious which choice we should take. Lady Sherinham's life is full of color and wealth and privilege. We don't get much detail in Emma's life, but she must have made a difference in the life of a student or had very loving reasons for living her life. Those are never shown. Instead, we see the medical "professionals" who pick over her belongings, leading us to believe it's better to be rich than dead. I'd prefer to make my own choices and not have them made for me. I love the night sky and constellations, so when I saw 'Starry Skies: Learn about constellations above us' by Samantha Chagollan with illustrations by Nila Aye, I grabbed a review copy to check out. Unfortunately, I was a bit disappointed with the end result. It's a picture book for young kids, which is fine. And it does give some pictures and names of constellations. It fails to give any sort of location for children or their parents to look for these in the sky. Some are easier to find for the unfamiliar, but there isn't a lot of information given here on where to look. That might have been nice in an informative afterword for adults or older children. Even a sky chart might have been useful. I did really like the illustrations with their white on black lines. I received a review copy of this ebook from Quarto Publishing Group-Walter Foster Jr., and NetGalley in exchange for an honest review. Thank you for allowing me to review this ebook. 'Rusty The Squeaky Robot' by Neil Clark is about a little robot trying to live with the horrible noise he makes. Along the way he learns that it's ok to be a bit different. Rusty is unhappy because of the squeak he makes, but he finds some new friends that make some odd noises of their own too. There are Belle and Twango and Boom-Bot and others who show Rusty that he can make noise along with them. It's a cute story with really cute geometric illustrations. I love some of the lettering and how all of the robots look. I think it's a good choice for a read aloud book for young kids. The lesson is pretty good too. I received a review copy of this ebook from Quarto Publishing Group-words and pictures, and NetGalley in exchange for an honest review. Thank you for allowing me to review this ebook. 'Wotakoi: Love is Hard for Otaku Vol. 1' by Fujita was a really fun manga to read, and I learned a bit about Japanese geek culture along the way. Narumi Momose is a secret gamer, or otaku. She reconnects with a childhood friend named Hirotaka Nifuji at work, and finds out he is also into gaming. They awkwardly have a fun relationship where she thinks it's a date, but to him, it's just hanging out at his house playing Mario Kart. It's more like a comedy of manners than a story with a definite plot. There are other characters in the mix that add to the humor. I was looking terms up, then found out that the two volumes included here include a nice glossary of terms for some of the odd bits of nerddom I was unfamiliar with. At first, I felt like the jokes were kind of inside, but this glossary made it feel inclusive, and I really appreciate that the author included them. I really liked the art and the story. There are bonus comics that are more like short gags. I didn't like them as much, but they do round out the characters. 'The Flash Vol. 5: Negative' by Joshua Williamson finds The Flash in some pretty tenuous territory after his encounter with Eobard Thawne both physically and emotionally. The Flash has been affected by the negative speed force, and it causes destruction and harm whenever he uses his powers, so he has decided to stop being The Flash until he can figure things out. Things at work aren't any better for Barry Allen. Someone is stealing evidence from past cases. This along with Barry's perpetual tardiness is going to have consequences beyond this volume. Along with all the darkness, we get a light Christmas fill-in that feels kind of out of place here. I like the writing and surprises along the way. I loved the subplot with Wally, and really like what is done with his character. The art isn't my favorite, but it's an interesting choice. 'Noble Vol. 2: Never Events' by Brandon Thomas with art by Roger Robinson and Jamal Igle is a title I really want to like, but it's just not quite there yet for me. David Powell is back from hiding in South America with a new suit. He still doesn't know who he is, but his wife Astrid wants to find him and help him remember. With the unlikely help of Lorena Payne, she looks for him. Meanwhile Dr. Mayes has his own group of enhanced humans that is trying to recruit David. We get some more backstory on Astrid and her weird powers. We see some more of David in his life before. The whole thing jumps around so much that it often leaves me confused about what is happening and what has already happened. I really want to like this title more. I love the idea of this book, and the art is great. The characters are all pretty good. I'm just so confused by the storytelling. Still I keep trying, and I keep hoping for this title. I received a review copy of this graphic novel from Lion Forge and NetGalley in exchange for an honest review. Thank you for allowing me to review this graphic novel. 'Big Trouble in Little China the Illustrated Novel: Big Trouble in Mother Russia' by Matthew J. Elliott with illustrations by Elena Casagrande is a sequel decades after the film was released. It's written by a member of the RiffTrax staff. Self-proclaimed red-blooded American hero and ladies man Jack Burton has recently gotten back from his adventures in Little China. He's riding around in the Porkchop Express with a new strange friend, and staying in touch with old friends. He gets a delivery job and winds up in the heart of Russia along with his best friend Wang. I remember liking the original film, but I don't think I've seen it since the time I saw it in the theater. It feels like they got the characters right, but a little of Jack Burton's swagger goes a long way, especially in light of 2018. He's actually kind of a jerk, so this was a tough read. There are a handful of illustrations, and they aren't bad. I'm just not sure we needed this sequel at this time. I received a review copy of this ebook from Boom! 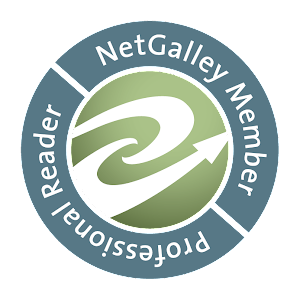 Studios and NetGalley in exchange for an honest review. Thank you for allowing me to review this ebook. 'Gumby Graphic Novel Vol. 1' by Jeff Whitman, Eric Esquivel and a whole pile of other people is a collection of 9 short stories featuring Gumby, Pokey and all their pals. The first story in the book 'An Alien Abundance' pays homage to Gumby's first tv episode. There is also a fun episode where the Blockheads are conning Gumby's Grandmother into paying for what she thinks is an elaborate vacation. When Goo goes missing, Gumby ends up going to Frace to look for her. I grew up on Gumby and I'm a big fan. Most of the stories work pretty well and feel like Gumby adventures. I liked the inside nods to certain characters or episodes. Some of the humor aims at the adults, but they keep it clean, so it's fun for kids. 'Rice Boy' by Evan Dahm is a 548 epic journey through a strange world. The art and worldbuilding are bizarre and wonderful. A small unassuming creature with no arms or mouth is minding his own business when he is approached and told that he is the chose one. The creatures that approach him are a mechanical man named T.O.E. (The One Electronic), and his partner Calabash. They find him after the previous chosen one has died. Rice Boy sets out on his journey and meets friends and enemies along the way. There is also court intrigue, strange cities and any number of odd beings. I really liked this bizarre world. I love the small unassuming main character who seems to look for kindness instead of violence. T.O.E. with his constantly changing face made out of black and wh‪ite media stills was an interesting character. I felt constantly surprised by this story. 'A Son of the Sun' by Fabien Nury with illustrations by Eric Henninot is an adaptation of stories from Jack London. I was unfamiliar with these stories, but this one was a good one. A man named Parlay is dying, and he is putting the word out that his vast collection of pearls is going up for auction. A man named David Grief hears of it, but is told that he is not invited. The reasons for that become clear as we learn of Parlay's past and his daughter Armande. Grief has his own reasons for being there, but what is Parlay's true intention for having this auction? It's definitely a tale of its time, with not much in the way of political correctness. There is cruelty and darkness. There are some interesting tricks along the way. The art is quite good. It fits the story and feels like a Classics Illustrated story. I really liked the style. 'The Adventures of Kung Fu Robot: How to Make a Peanut Butter, Jelly, and Kung Fu Sandwich' by Jason Bays makes me want to write my review with lots of exclamation points. That's how tiring the act of reading it was. Kung Fu Robot is kind of a big dumb hero with a young boy named Marvin as his sidekick. Marvin tries to be the voice of reason, but Kung Fu Robot just blazes on ahead, leaving a wake of mayhem and destruction in his wake. When he decides to make the sandwich in the title, it goes missing. Ninjas have taken it and they work for Kung Pow Chicken. Kung Fu Robot goes after his sandwich with Marvin in tow. All the while, I kept wanting to yell, "just make another sandwich!" It's loud and bombastic and has a few recurring jokes that it just pounds relentlessly. It's bright and colorful, but there are so many better kids books out there. Still, this may appeal to a certain rambunctious type of kid reader, so who am I to fault it? 'War Mother' by Fred Van Lente with art by Stephen Segovia and Tomas Giorello is the return of a character from Valiant Entertainment's 4001 A.D. It is the distant future, and Earth is pretty uninhabitable. Humans still live on the planet alongside the other mutations that prey on them. War Mother is genetically engineered to protect her group of humans. She and her intelligent gun, nicknamed Flaco, forage for useful items. When a call from a safe haven called Montana comes in, War Mother goes to investigate. I really liked this story and art combination. War Mother is a really interesting character and it reminded me of other futuristic titles I've liked over the years like Tank Girl and Judge Dredd.